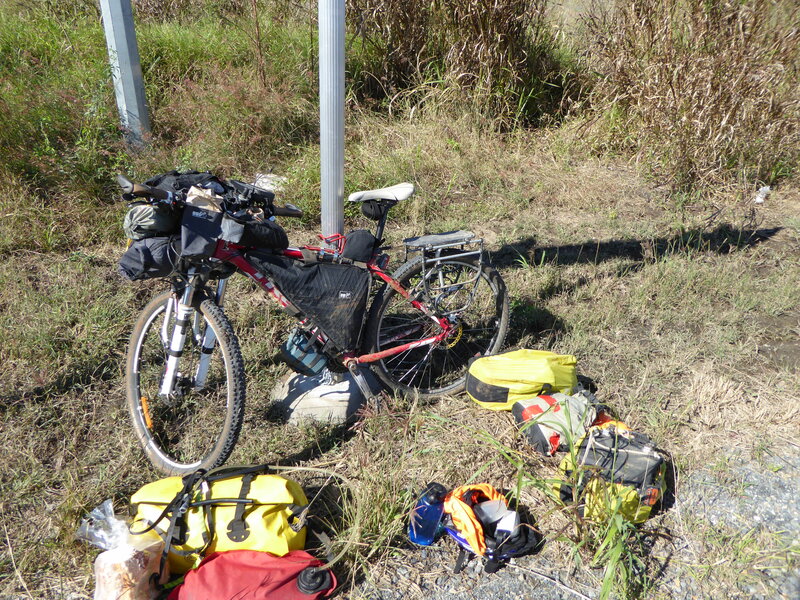 After facing mechanical issues yesterday, today I’m attempting to leave Rockhampton again. It’s like I was supposed to stay here. I head for the bike shop in the morning and my host Brad gives me a lift. 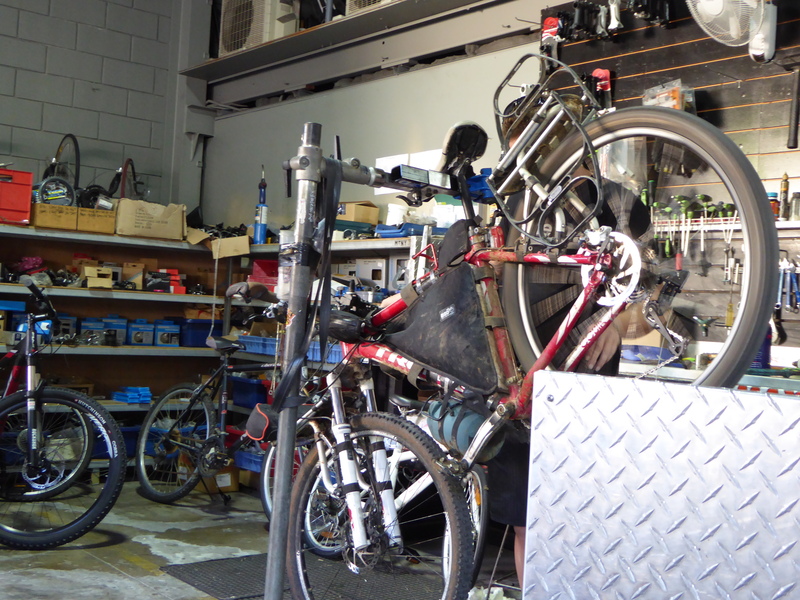 Once I arrive, David the mechanic tells me that they only had a nine speed derailleur and I need a ten speed one. David tries to tune it but it won’t work perfectly. When I’m about to give it a test ride, I get a flat tire. That is the second time in two days. I probably didn’t fix the puncture very well yesterday. Later in the morning, after much tweaking and tuning, David gives me a lift back to the highway. He is on a tight schedule, having a bike race in the afternoon. He still manages to drop me far from town, 12km from where I broke down the day before. 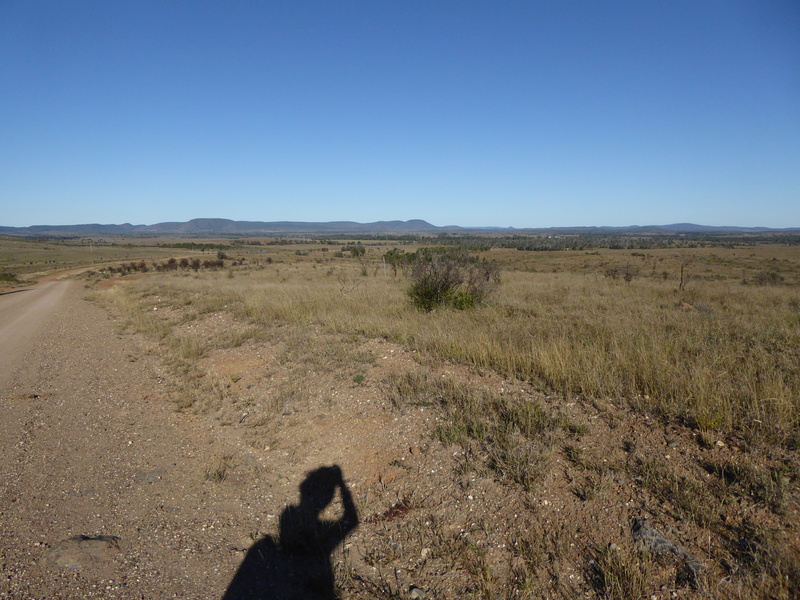 I ride slowly, and make my way toward Fitzroy River on a gravel road. The derailleur is causing me trouble and I’m constantly changing gear to try find one where it won’t complain too much. Having to be mindful of that makes the ride a little more challenging and a little less enjoyable. 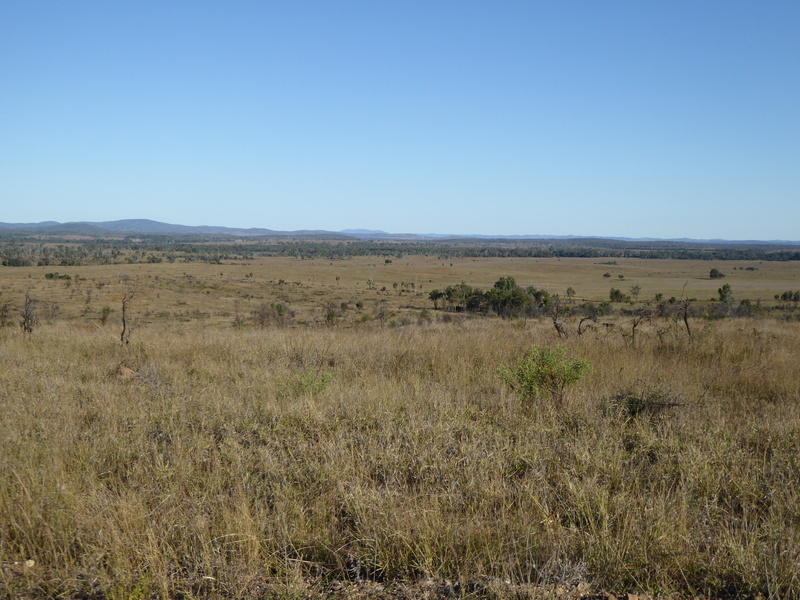 The landscape is quite interesting with the red earth, dry grass and low bushes and some cacti here and there. An old bloke stops with his touring motorbike. He tells me that the Fitzroy River is nice and to watch for the crocodiles, look for the red eyes. The conversation is short as he is wearing earplugs in his helmet so he can’t hear me right. In any case he said too much or not enough. What I’m wondering is, what to do if I see the red eyes, and how far away should I stay from the river to be safe. So many unanswered questions. I take that one day some locals will tell me all about the crocodiles and bust the myths. I’m sure most accidents can be avoided. Further down the red road, two 4wds drive past me. The second one pulls over. Its driver is a young fella who works at the coal power station not far behind. It’s Saturday and they are off camping in the bush. It’s funny to notice that they are carrying each a sofa on their truck. I wonder what kind of party that will be. He invites me to join them. I thank him and tell him that depending on how far I get, I might join. Fact is I never saw them again. At the end of the afternoon, I have two options. Either I stay on the road for an alternative road. Or I take a left to stay closer to the river and avoid the 15km detour. I’m not finding the turn off but I take a chance and go through an open gate. The track eventually vanishes and I find myself battling in high grass in cattle yards. The logs, the rocks, and the grass cause me some serious troubles. It’s getting harder and harder and the sun is going down. After a kilometre or two, I reach a fence. I’m pretty sure that I’m supposed to be on the other side to continue. 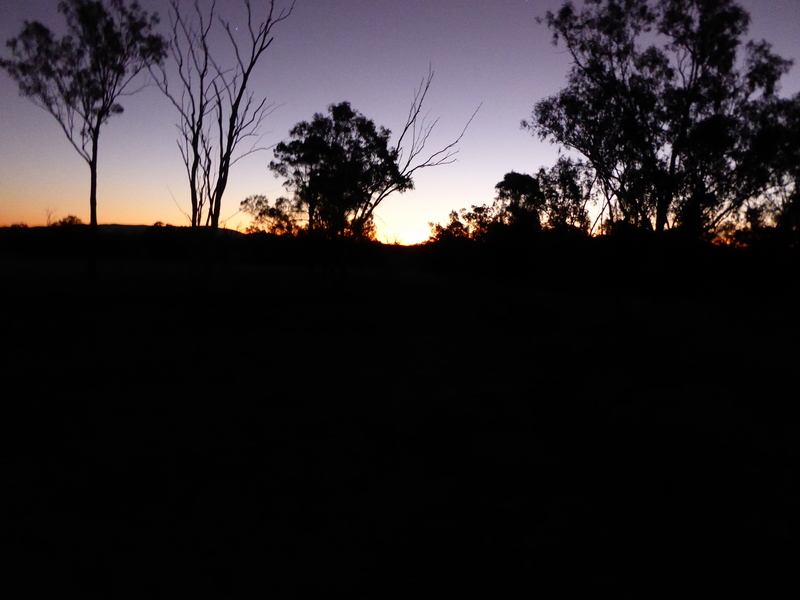 I head west towards the river, hoping there will be a gate with an obvious wide track. I find none of this and the sun sets. I do find the river, but the fence goes all the way down to the river, and there is an impossible gully to cross. In the back of my mind I think about the crocodiles. 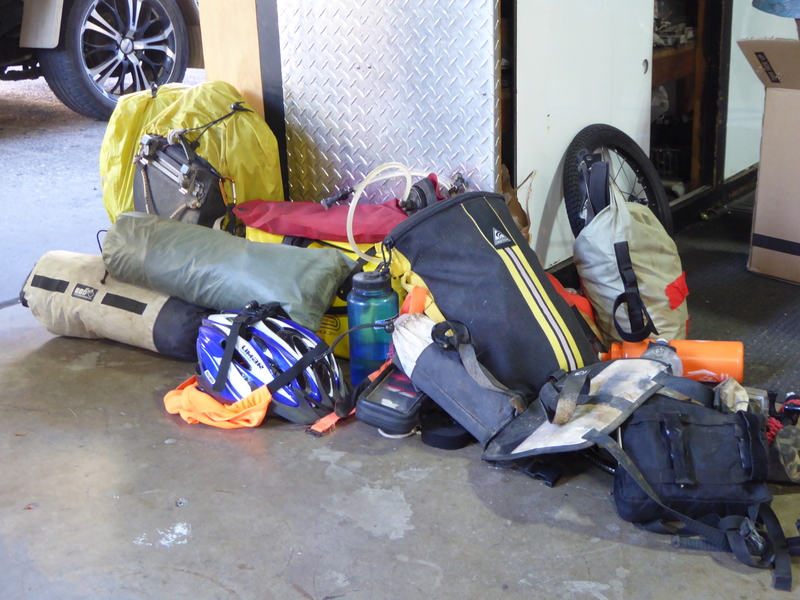 Not only can I not see anywhere flat to camp, but I don’t really know how far from the river I need to be to be safe. Despite being in the dark, I head straight back to the road. In this situation, camping by the road on the grass feels a lot safer and more comfortable. 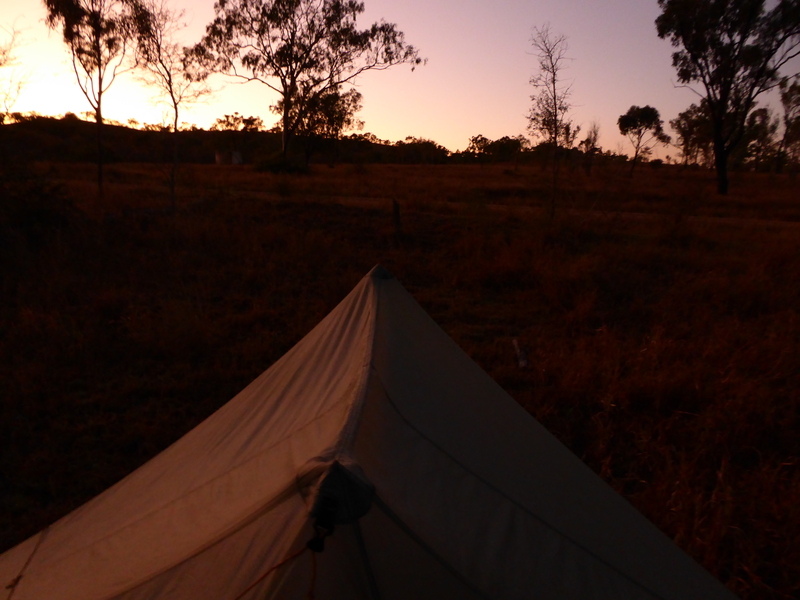 I pitch my tent, cook my dinner, and think that this has been a weird day for a birthday. The only thing I want is to relax and sleep. ← Birthday, help me out!